Home/Helmholtz Juniors / Menü 1 - Englisch, Helmholtz Juniors Work / NextGen 2016: More than a Conference! Today, we have a special guest post by Danja Sarink, PhD Candidate at the Division of Cancer Epidemiology, The German Cancer Research Center (DKFZ). Danja is also the spokesperson of the Survey Group of the HeJus. Now I leave you with a brilliant inside look at NextGen 2016! 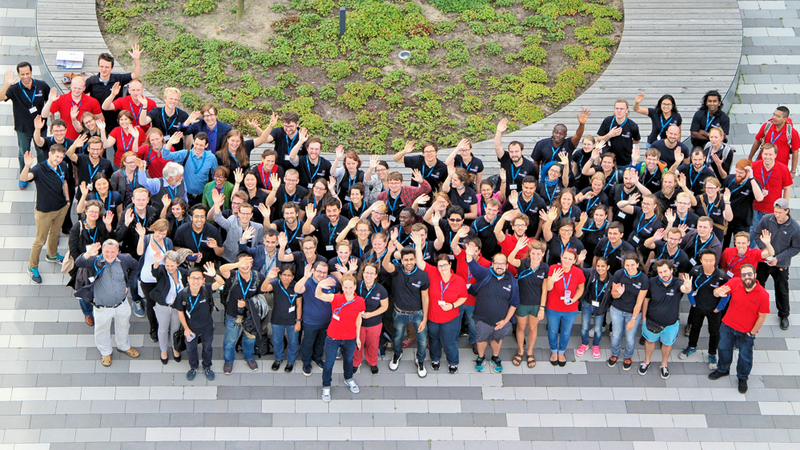 On 28-30 September Helmholtz Juniors hosted the very first NextGen@Helmholtz conference. Nearly 120 doctoral researchers from all Helmholtz centers joined us for action-packed: three days of networking, presenting and learning, at the Helmholtz Centre for Infection Research in Braunschweig. For an impression of the conference have a look! To start the conference and to introduce all 18 Helmholtz Centers participants presented their institute in one minute. We got a fantastic overview of the huge diversity of research going on in the Helmholtz Association – and the creativity of PhD students! Who knew that umbrellas make excellent jellyfish? And that maybe, next time, we should take into account when Oktoberfest happens! One of the main focus points of NextGen was multidisciplinary and we challenged participants to explain their work to doctoral researchers from different fields; 83 participants presented their research in three poster sessions. There was naturally a lot of discussion between researchers from similar fields, but the amount of crosstalk – physicists explaining their work to sociologists, engineers asking about the work of geologists, and so on – was amazing to see! Lisa Bittner (Influence of pH on the toxicity of pharmaceuticals in zebrafish embryos, UFZ), Mia Rudolph (Serial Protein Crystallography in Living Cells, DESY) and Uli Einhaus (ROPPERI-A TPC readout with Timepix and pads, DESY) did an especially great job explaining their work, and received the poster awards. Congratulations! Six truly brave doctoral researchers participated in the NextGen Science Slam, and we saw some really innovative takes on science – appealing to participants’ empathy, sense of humor and sense of rhythm. We have to give a honorable mention the impressive rap from UFZ’s very own McBiogas (Fabian Bonk), but the audience awarded the best science slam to Daniel Meza Arredondo from HZB, who talked about mom, Pesos and a chocolate vending machine on Mexikoplatz in Berlin, which was an excellent analogy for his work on solar cells. Congratulations! 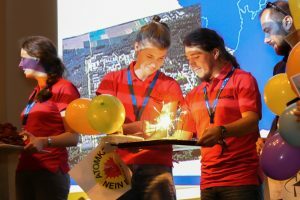 So, at this point, everyone at NextGen knew all about the Helmholtz Association and how to present their doctoral work – but what comes after? The classical path of doctorate-postdoc-professor is of course not nearly the only option for a doctoral researcher and the alumni session offered the opportunity for participants to talk to Helmholtz alumni about their career paths. The 12 alumni who joined were all at different stages in their careers – anywhere between postdoc and retired – and some had taken surprising career paths to get to their current jobs in various sectors, ranging from academia to science communication, to technology and product management in industry, to entrepreneurship and politics. The round tables were swamped and alumni spoke to participants to the absolute end of the session and, for those who could stay, even after the session ended. The alumni session was followed (after an amazing lunch) by a multidisciplinary workshop, where carefully randomized teams of doctoral researchers from all Helmholtz centers were put on the spot: how could humanity travel to and survive on Mars? Every team was required to include all their members fields in their mission plan, but we kept other parameters for this task deliberately vague (will earth still be there to go back to? Will space travel exist?). Seven teams presented very varied takes and some very convincing reasoning on this challenge – a focus on the journey to Mars versus what to do on Mars, keeping the space craft operational versus using it for resources, living above ground versus living below, relying on trade versus Mars’ own resources. One of the most important tools for success is of course using the skills of everyone involved, and proposals were judged as such by Dr. Rebecca Ludwig, project manager with the cross-disciplinary ENLIGHT-TEN program. For missions this big, there can only be one winning proposal – Congratulations to the ingenious crew of M.Pathfinder! Last but not least, NextGen hosted an expert panel on the topic of “publish or perish”. Prof. Wiestler (President of the Helmholtz Association), Prof. Alexander Lerchl (Jacobs University Bremen), Prof. Mark Brönstrup (HZI Braunschweig), and Prof. Bettina Eick (TU Braunschweig). It was a great experience to listen to professionals talking about the broad topic, its influence on their fields of research, and how it relates to doctoral researchers. Two thirds of the participants completed our exit-survey, and results were overwhelmingly positive! Nearly all participants rated NextGen@Helmholtz as very good (62%) or good (34%), and a stunning 88% would recommend it to others. The science slam (68% very good; 21% good) and alumni sessions (49% very good; 35% good) were rated as highlights of the program. Opinions on the poster session, multidisciplinary workshop, and expert panel were a bit more divided – though they were still rated as good or very good by at least half of the participants. The time available for and facilitation of networking (social activities, workshops, etc) during the conference were also well received. There are always things that could have gone better, and that we will of course aim to improve! The two points participants liked least were the venue for the poster session (5% very poor; 19% poor) and the time available for the multidisciplinary workshops (7% very poor; 24% poor). We would like to extend a big “Thank you!” to the Helmholtz Association for making it possible for us to organize NextGen@Helmholtz, the Helmholtz Centre for Infection Research (HZI) in Braunschweig for hosting us, and to all speakers and participants for making it a success! 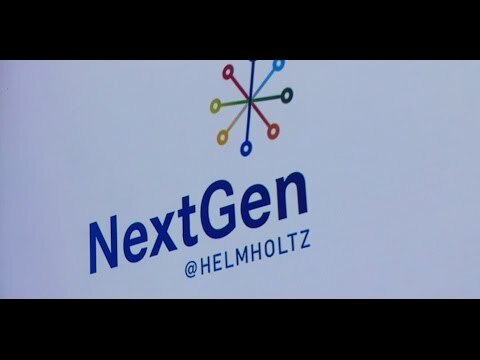 We hope NextGen@Helmholtz will continue to provide an informal and low pressure environment for doctoral researchers to talk and gain ideas about their science and their PhD (and beyond), and to try new approaches to presenting their work, both regarding new formats and people from completely unrelated fields. 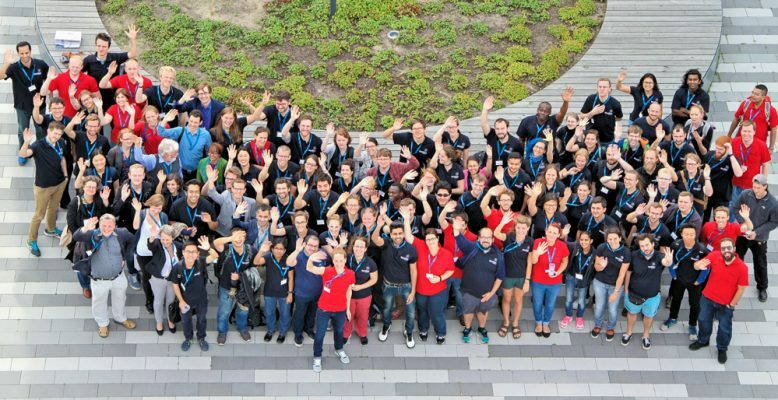 Keep an eye out for NextGen@Helmholtz 2017 at the Helmholtz Centre for Ocean Research (GEOMAR) in Kiel! I am a Doctoral Researcher at Alfred Wegener Institute Helmholtz Center for Polar and Marine Research (AWI) in Bremerhaven. I studied at Faculty of Pharmacy, Cairo University, Egypt. I was fascinated by bioinformatics and I was awarded a scholarship at the Information Technology Institute in Cairo to study Software Engineering and Open Source Technologies. With another scholarship, I finished my master's in Biotechnology at the American University in Cairo in collaboration with AWI. In my doctoral project, I use transcriptomics to study the effect of stressors on micro-algae. My passion is open access to knowledge, that is why I love blogging I think. I hope I can contribute a little into making knowledge and science accessible to all people whether they are students, patients, parents, or grandparents.